Splendid survivors from another age, all of them 50+ years old in San Francisco. Many of us are shocked when we read or hear about beloved old San Francisco businesses and landmarks that have vanished—in fact, such losses tend to be a recurring theme in this column. This month, though, it’s time to recall just a few of the many great places that still remain—splendid survivors from another age, all of them 50+ years old—and filled with memories that draw us back again and again to enjoy good times and to share our experiences with others. Avenue Theatre: Although the movie house, built in 1927 on San Bruno Avenue in the Portola District, has been closed for nearly 35 years, its magnificent neon sign and façade have recently been restored, signaling a distinct possibility that the auditorium itself might find a new use very soon. Balboa Theatre: Among the few remaining movie houses in the western neighborhoods, the Balboa has been a neighborhood anchor since 1926. Bill's Place: In business since 1959, and still serving hamburgers, shakes, and fries extraordinaire. Regular visitors always opt for a seat out back in the tranquil garden. City Hall: Classic Beaux Arts building dedicated in 1915, and magnificently restored after an earthquake retrofit following the 1989 Loma Prieta earthquake. Cliff House: Perched on the continent’s edge, some visitors are not happy with the latest incarnation of this landmark—perhaps wishing that the 1907 gingerbread version could have been resurrected instead. In the end, though, it’s still a grand place to sit back and enjoy the view, just as our ancestors were doing back in the late 1860s. Columbarium: The last remnant of the Richmond District’s legacy of cemeteries, the building exudes a calming presence and is well worth a visit. Eastern Bakery: Chinatown landmark since the 1920s. A great place to buy treats on the way home from dim sum at the nearby Hang Ah Tearoom—another local 1920s establishment. El Toreador: This West Portal Avenue business has been dispensing great Mexican food since 1957 in a brightly colored dining room. 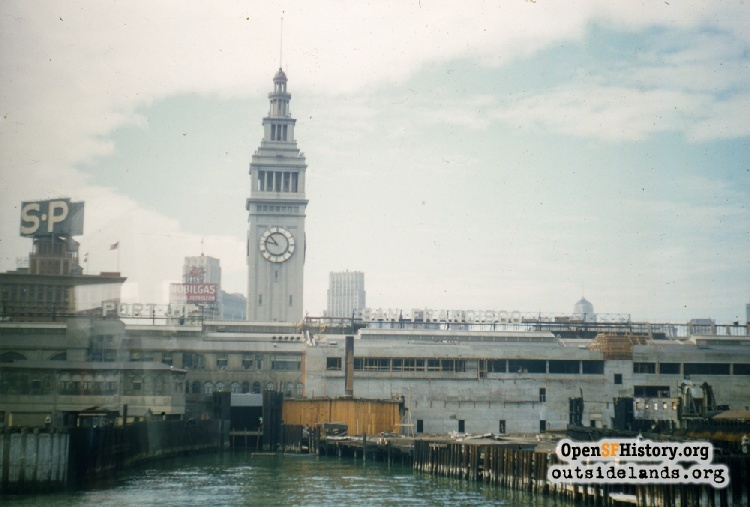 Ferry Building: Built in 1898, this is one of San Francisco’s top three images, along with the Golden Gate Bridge and the Transamerica Pyramid. Ferry service, long diminished from what it was in pre-bridge days, now includes multiple daily runs to Larkspur, Sausalito, Vallejo, and Alameda. Upon completion of a four-year restoration project in 2003, a popular public marketplace opened in the main hall. Flood Building: Anchoring the busy downtown corner of Powell and Market since 1904, this office building was San Francisco’s tallest structure upon completion. It was one of downtown’s few survivors in 1906 and was reopened one year later. From 1952 through 1997, a large Woolworth store occupied the ground floor and basement, including direct access to BART’s Powell Street Station beginning in 1973. The building underwent a massive refurbishing in the 1990s and today, it is home to several ground-floor retailers and more than 250 other tenants. Ghirardelli Square: The classic red brick buildings have been operating as a restaurant/retail complex since 1964, and the site now includes a boutique hotel/timeshare/event venue in one of the original structures. Golden Gate Bridge: The “bridge that couldn’t be built” has been marking the entrance to San Francisco Bay since 1937. Along with the “Painted Ladies” of Alamo Square, it is surely the city’s most-photographed landmark, with the pedestrian crossing remaining toll-free. Japanese Tea Garden: A revered relic from the Midwinter Fair which ran from January until July of 1894. Today, the well-manicured space is one of the few visitor destinations that remains open 365 days a year. John's Grill: Operating in the shadow of the Flood Building since 1908, the restaurant was once the dining choice for Dashiell Hamett’s legendary Maltese Falcon detective Sam Spade, whose order was lamb chops, a baked potato, and sliced tomatoes—still available to diners today. 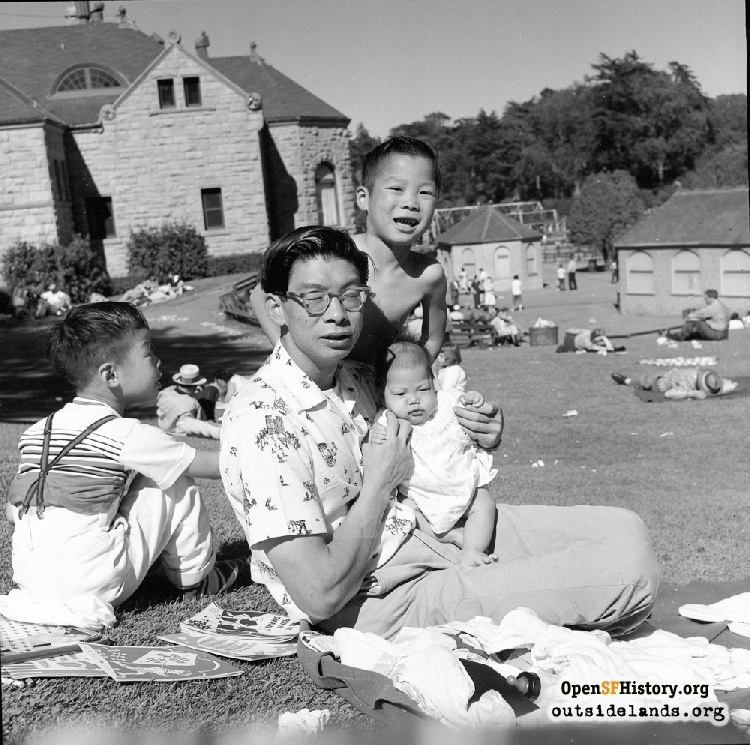 Larsen Park: Two full blocks of open space donated to the people of San Francisco by Danish-born Carl Larsen, one-time proprietor of a chicken ranch located near 17th Avenue and Noriega. The park has been home to a series of jet plane play structures since the late 1950s, and is the designated meeting place in case of disaster for many residents. Legion of Honor: Thanks to the generosity of Alma de Bretteville Spreckels, the museum has been gracing Lincoln Park since its dedication in 1924. During seismic work in the 1990s, an underground addition of 35,000 square feet was built, while remains were discovered from an old cemetery that had been closed in 1908. Today, the museum’s holdings span 4,000 years of history, including European painting, sculpture, and ancient Mediterranean arts. Liguria Bakery: Always take someone with you—to run in and buy the world’s best focaccia with cash because no credit cards are accepted—as you circle the block. Go early because the doors close daily when the last piece has been sold. Louis': The tiny restaurant on Point Lobos Avenue above the Cliff House, owned and operated by the Hontalas family since 1937, is truly a “splendid survivor.” A 1948 fire at the adjacent Market Street Railway wooden terminal damaged Louis’ but the restaurant managed to reopen. A 1963 fire destroyed a row of gift shops and eateries just west of Sutro Baths, and a 1966 blaze burned down the vacant Sutro’s—but Louis’ survived every time. 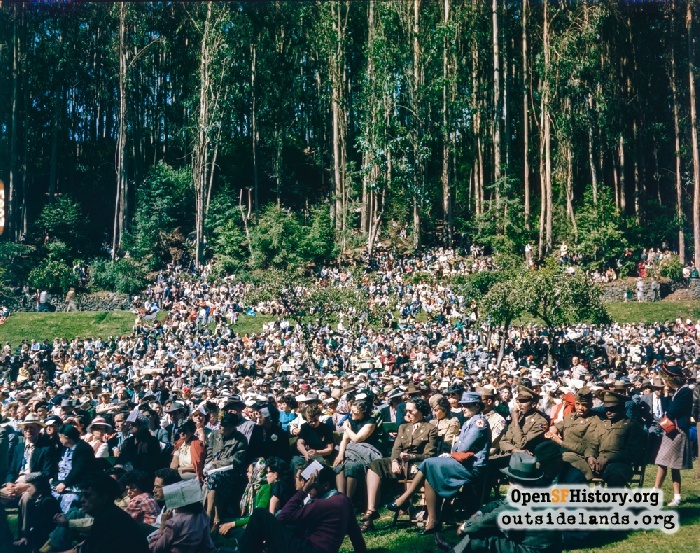 After the National Park Service acquired the land in 1973 for the Golden Gate National Recreation Area, Louis’ continued to operate under annual contract extensions until 2010 when they acquired a 10-year lease and made significant improvements. 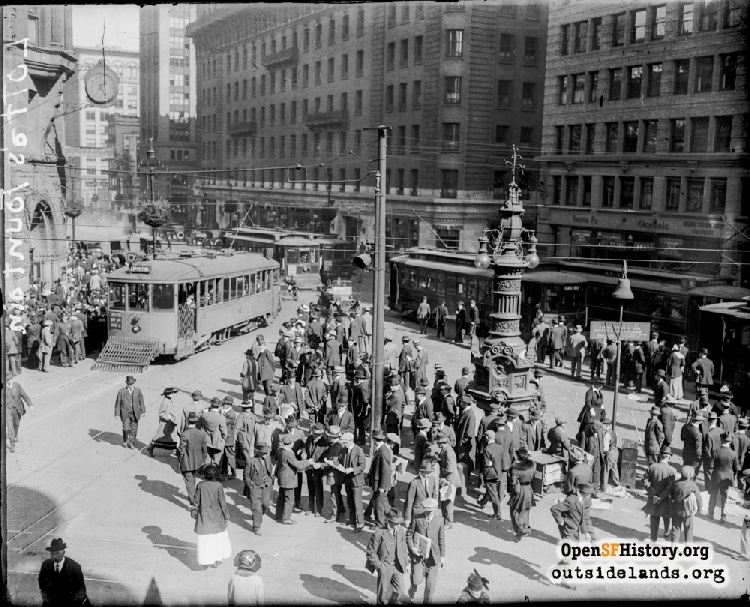 Lotta's Fountain: Located at Market and Geary Streets, this monument to San Francisco was donated in 1875 by Lotta Crabtree, a Gold Rush-era actress. It served as a meeting place for San Franciscans in the aftermath of the 1906 Earthquake/Fire, and was the site of a free open-air concert by opera star Luisa Tetrazzini on Christmas Eve of 1910. The location is the site of early-morning remembrance ceremonies every April 18th. 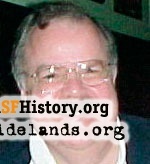 Mel's Diner: Founded in San Francisco in 1947, Mel’s still operates four locations locally. The popular Richmond District outlet was being considered for closure a few years back to accommodate new housing, but that threat has now passed, with its classic menu items safe once again. Mission Dolores: Founded in 1776, the present building dates from 1791, and has survived multiple serious earthquakes (1865, 1868, 1906, 1957, 1989) and dozens of lesser ones, remaining the oldest intact structure in San Francisco. 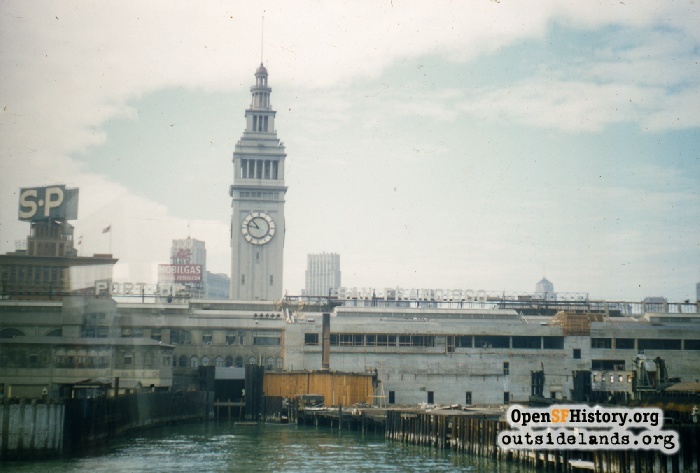 Tours are conducted daily, though many San Franciscans sheepishly acknowledge that they have never been inside. Music Stand: Also known as the bandshell, and the Temple of Music, the structure on Golden Gate Park's music concourse was created in 1900 with a donation from sugar king Claus Spreckels (Alma’s father-in-law), and remains the site of free summer music concerts. New Mission Theatre: Originally built in 1916, the New Mission was remodeled in classic Art Deco style by local architect Timothy Pflueger in 1932—with its 70-foot red neon marquee quickly becoming a neighborhood landmark. Declining attendance and deferred maintenance led to its 1993 closure and conversion to a low-priced furniture store. Saved from demolition by a neighborhood group, the building was restored and reopened by the Alamo Drafthouse Cinema chain in 2015. Painted Ladies: A row of beautifully maintained 1890s Victorian homes facing Alamo Square—often dubbed “Postcard Row.” I had the pleasure of visiting the owners of one of these homes recently, and it was an architectural delight, both inside and out. My visit that day was surely captured in hundreds of photos that were being taken by the nearby flock of tourists across the street in the park. Pasquale's Pizza: Operating at 8th Avenue and Irving Street since the 1960s, Pasquale’s is one of the few neighborhood dining spots open from lunchtime until midnight (and until the wee small hours on Friday and Saturday). Extra sauce, please. Polly Ann Ice Cream: If you can’t decide on a flavor, just spin the wheel and let it decide for you. 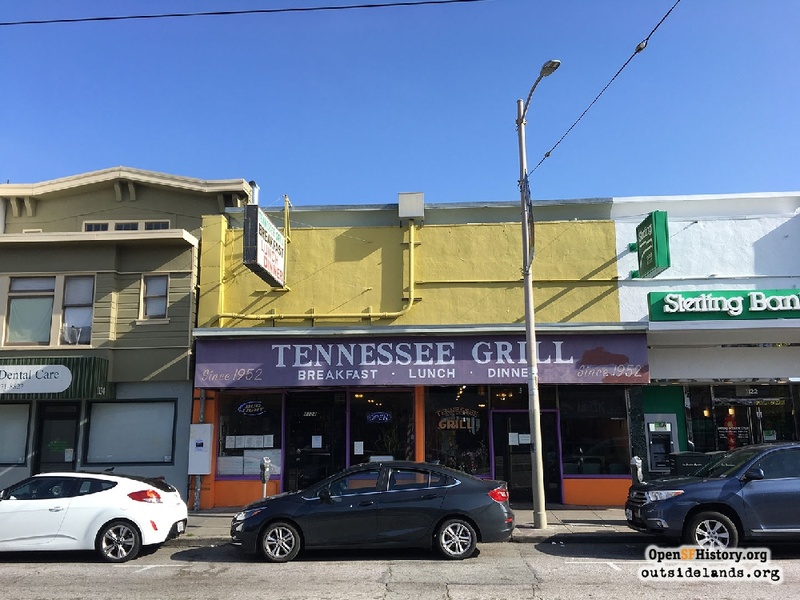 Some turn-of-the-millennium housing construction shifted the location to a new building at the northeast corner of 39th and Noriega, and ownership has changed hands, but it’s still the same great place that it was back in 1955. See's Candy: Although technically founded in Los Angeles, the shops have been associated with San Francisco since the 1920s. Once present in many neighborhoods, stores are now most often found downtown or in mall locations, though there is still a See’s outlet operating at the corner of 9th Avenue and Clement Street. Standard 5 & 10: One of San Francisco’s few remaining variety/dime stories, it opened in the then-new Laurel Village shopping area on California Street in 1949. Product lines were expanded following an alliance with Ace Hardware, and the store continues to have a loyal following. Stern Grove: Located at 19th Avenue and Sloat Boulevard on land donated to the City in 1931 by Rosalie Meyer Stern in honor of her late husband, Sigmund, the free summer concert series has been a San Francisco tradition since 1938. In 2005, the Grove underwent a $15 million renovation, including drainage improvements and erosion control, an expanded outdoor stage and performance facilities, and terraced seating built of stone walls and grass along the slope opposite the stage. St. Francis Hotel: Steeped in history, the St. Francis has been welcoming guests since 1904. Gutted by the 1906 fire, the hotel operated in a temporary wooden facility in the middle of Union Square until the main structure was reopened in late 1907. A 1913 addition at the corner of Geary and Post was built to accommodate permanent guests, and a 1972 tower behind the main building expanded the hotel’s capacity considerably. Over the years, the hotel was the scene of numerous high school proms, the Roscoe “Fatty” Arbuckle scandal of 1921, and an assassination attempt on President Gerald Ford outside the Post Street entrance in 1975. One particular class of St. Ignatius High School graduates (1924) was even banned from the hotel in perpetuity for a particularly raucous reunion gathering in 1925. St. Francis Fountain: Billed as San Francisco’s oldest ice cream parlor, this corner shop in the Mission District has been serving customers for a full 100 years, and has kept pace with the times by adding vegan offerings to its diner menu. St. Ignatius Church: Dedicated in 1914 to replace the previous church that was lost in 1906, St. Ignatius was originally the campus chapel for St. Ignatius College, renamed University of San Francisco in 1930. Today, it is a one of nearly 90 active parishes in the San Francisco Archdiocese. Temple Emanu-El: With its soaring red-tile dome, Temple Emanu-el has been a Richmond District landmark at Arguello Boulevard and Lake Street since its dedication in 1925. The Congregation offers tours of the facility to the public. Temple Sherith Israel: Founded in 1849, prior to California statehood, the Congregation has held down the corner of California & Webster with its iconic steel dome since 1905. Its massive sanctuary survived the 1906 earthquake with little damage, and was home to the city’s court system until early 1908. Tennessee Grill: One of the few spots open at 6 a.m. for early breakfast in the western neighborhoods—and there is still a Chronicle vending machine near the entrance for old-timers like myself. 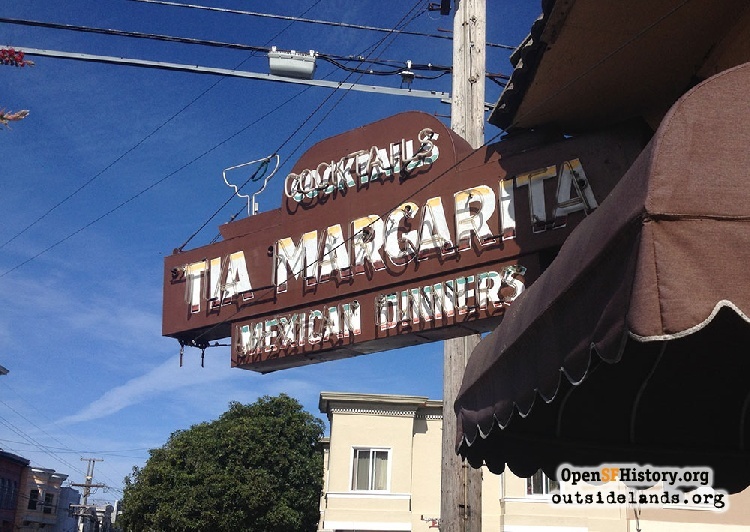 Tia Margarita: Located at 19th Avenue and Clement and operating under the same family guidance for 55 years, the food and atmosphere are excellent—just the way they were the first time I stepped inside as a college student in 1970. Page launched 30 April 2018.